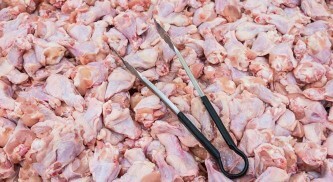 The Raw Meat Area Pack includes everything you need for just £99.00 inc VAT. 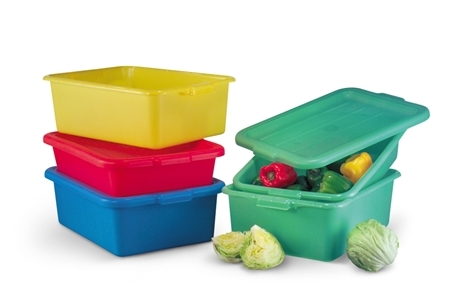 These colour coded containers are ideal for holding a higher volume of food items and highly assist in reducing cross contamination. 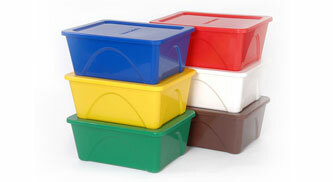 Pack of 6 tubs any various food hygiene colours. 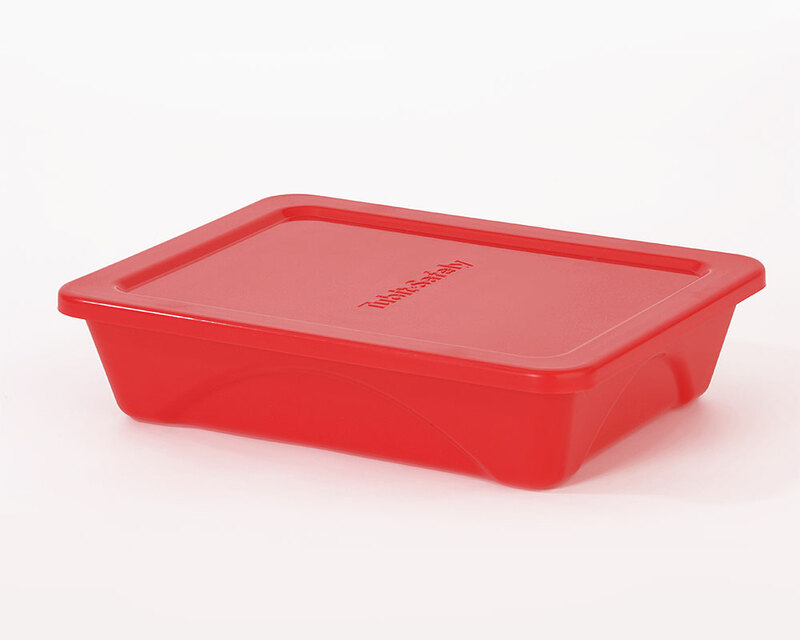 Pack of 6 red tubs to store raw meat. 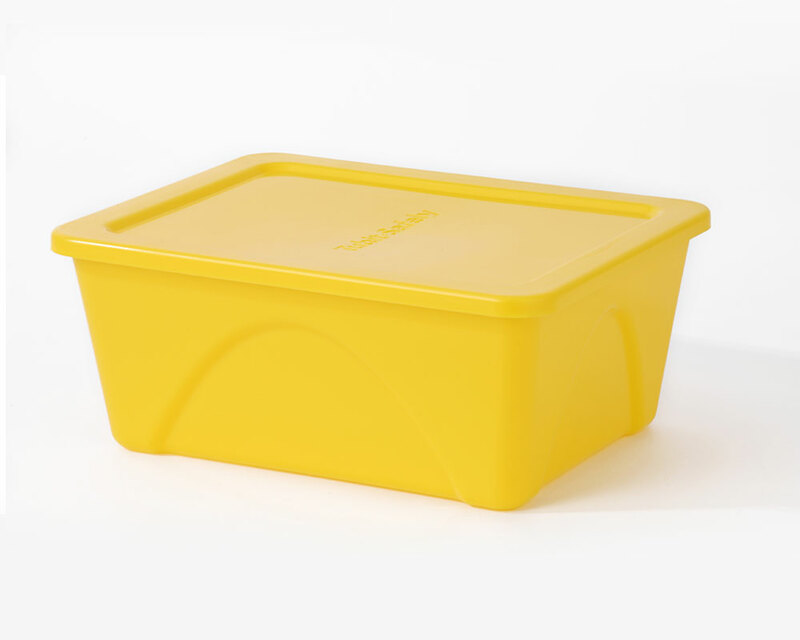 Improve your food hygiene rating and reduce cross-contamination with our durable, colour-coded containers. Is this chicken or fish?! 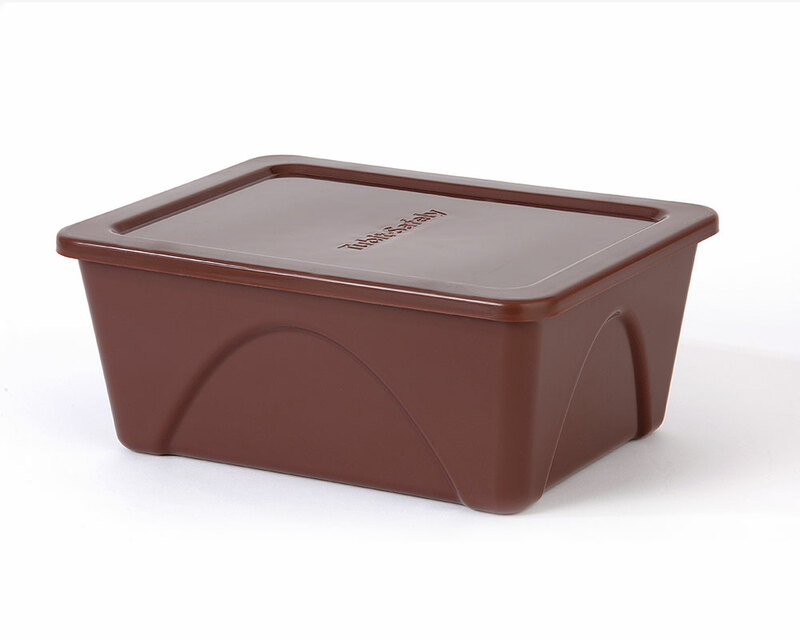 Say goodbye to using the same storage tub for every food group. 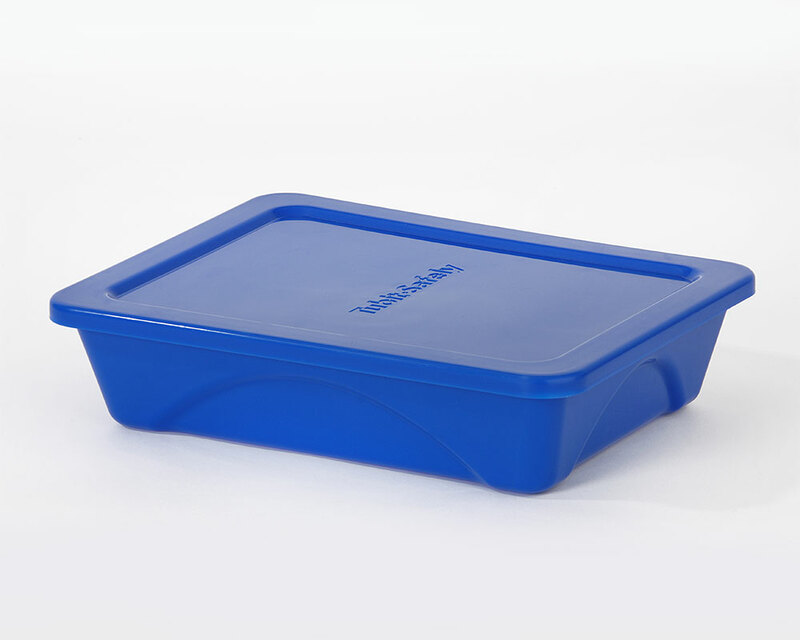 This method of storing food makes the risk of cross contamination much greater as we can’t always be 100% sure that our storage equipment has been sanitised correctly. 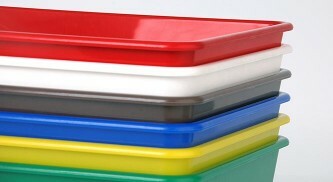 Say hello to our colour coded food storage system. This will make sure that ready to eat foods will never come into direct contact with raw foods in terms of food storage. 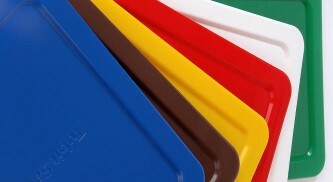 The different food hygiene colours ensuring that the foods are adequately separated. 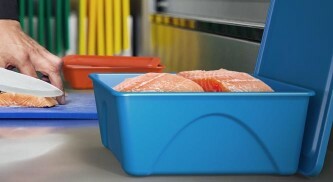 Say goodbye to food been contaminated with pieces of broken plastic due to the flimsy structure of cheap storage tubs. 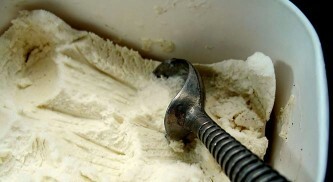 There's nothing worse than a customer pulling a chunk of ice-cream label or plastic from their lovingly prepared food. Say hello to a storage system with a stiff structural integrity and designed to withstand hard impacts. 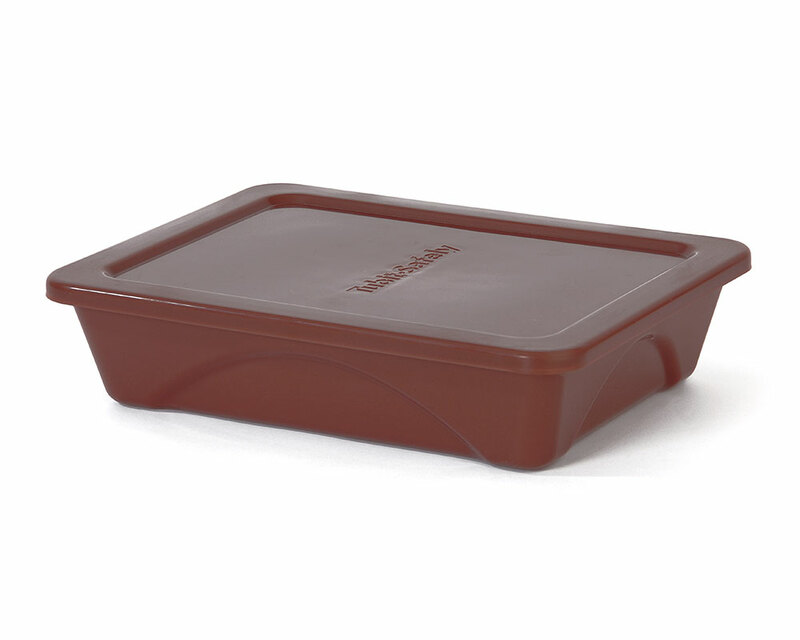 The Tubit Safely products are designed to withstand the busy environment of a kitchen. No more should food be contaminated with foreign objects. 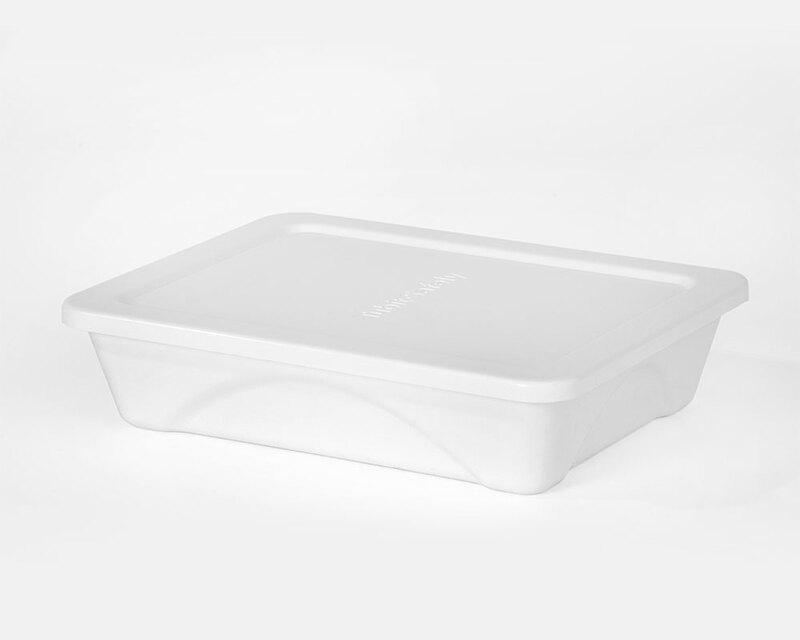 Say goodbye to reusing food packaging for storing food. This creates an untidy fridge and potentially could be cross contaminating. 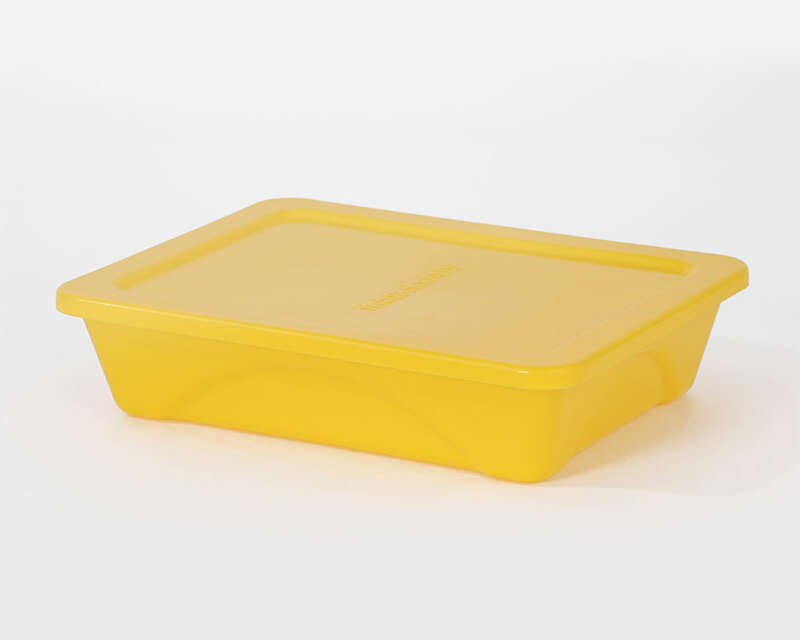 Say hello to your colour coded food storage system that will ensure a neat and tidy fridge and lowering the risk of cross contaminating. Say goodbye to time being wasted trying to find something in your walk in fridge due to every tub being the same colour or not being easily identifiable or someone moving it to a different section. Say hello to an organised fridge that is colour coded making it a lot easier to identify the product you are looking for which in turn also speeds up service. This will also assist in your stock management/ rotation. Some of our happy chefs! 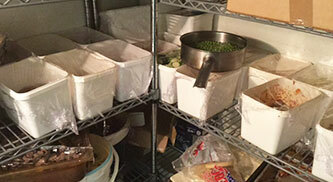 The colour coded food storage containers have transformed the appearance of La Fosse at Cranbornes' kitchen. When stacked they are more stable than other products, and are very quick to identify where products are and go in the walk in fridge. 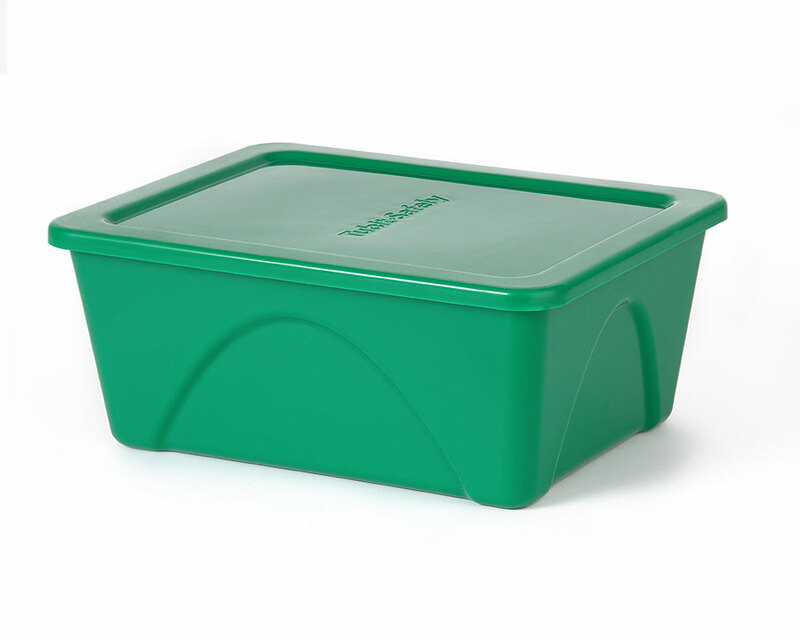 The product is very sturdy so spills and breakages are less likely. Mise en place for my cookery lessons and chef demonstrations now look highly professional matching the high class production. Easier to sanitise due to no acute angles in the designs and high gloss finish reduces potential for bacterial build up. 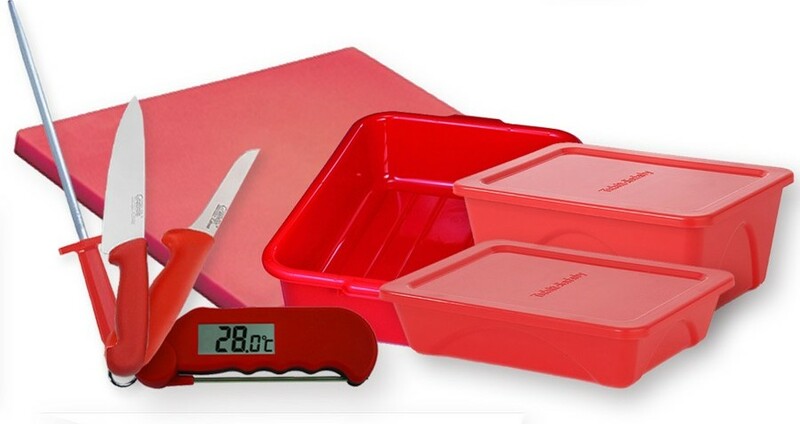 They are very competitively priced and have proven highly popular with all the staff too, we love them!! Mark Hartstone - 2015 Dorset Chef of the Year and owner of award winning restaurant - La Fosse Cranborne, Dorset, England. 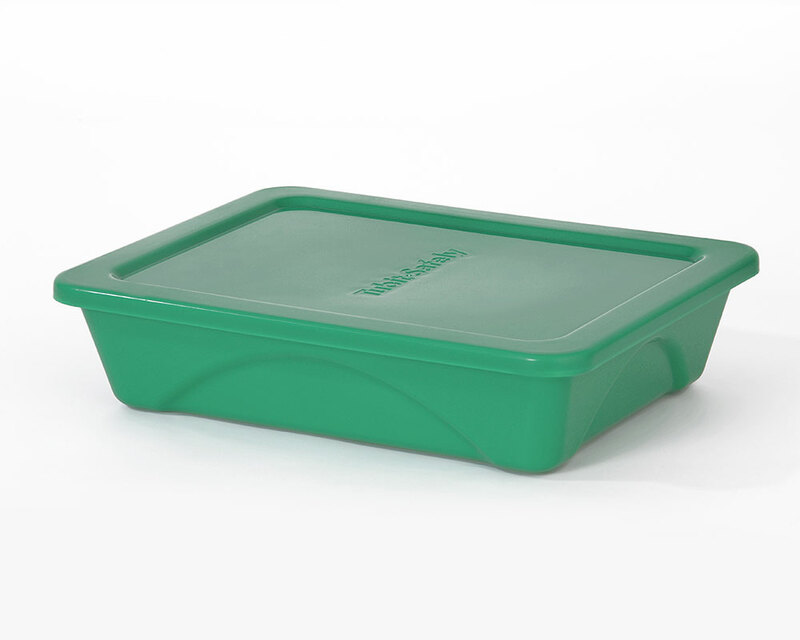 “Tubs arrived last week and have found them to be a fantastic addition to our HACCP system, makes kitchen storage easier, cross contamination a thing of the past and an organised kitchen can only benefit the customers. Customer service was very much chef to chef which was very beneficial in relating to the main pain points within the kitchen. We had our first visit from our EHO and went very well. They were highly impressed with the Tubit Safely products and were asking where we got them as they had never seen them before. We will definitely be using TubIt Safely again." Mark Smith - Head Chef La Luce Restaurant, Ayr, Scotland. Anthony Saunders - Manager/operator Dough - Gourmet Pizza Bar, Troon, Scotland. Jane Drauz-Brown - Prep Chef/pizziolo Dough - Gourmet Pizza Bar, Troon, Scotland.